zoe | juniper's work extends beyond the stage through Master Classes, Workshops, Residencies and Commissions by bringing the company's unique creative process to schools and dance companies across the country. Zoe’s classes utilize a somatic approach to technique. Classes are physically rigorous, deep, and kinesthetically challenging; a space where product orientated results takes rest and active experience reigns. We combine musicality, visual and physical metaphors in both improvisation and structured forms as a vehicle to surprise and further each dancer’s potential. It is my desire to help participants foster a body that is available, aware and in command of its senses, intuition and physicality. Available as a single class or a workshop/intensive. Visual aesthetics as choreography: working with bodies in the visual field. In this class we will investigate the characteristics of various visual mediums: photography, drawing, film, etc, as a way to discern each participant's aesthetic. We will use these as choreographic tools to create the experience we want. This class will encourage collaboration between participants and is more of a creative process than movement class. Each participant should bring a notebook and whatever camera device they are fluent in. Rather than simply learning a piece, this single class or workshop brings students into zoe | juniper's creative process. By analyzing Zoe and Juniper's choreographic, visual and sound instruction, each dancer will have a personal experience inside of the composition. Students discover the emotional and physical experiences of the work and gain a more profound level of ownership inside of the creative process. If you are interested in your students performing a work see below for commissions. 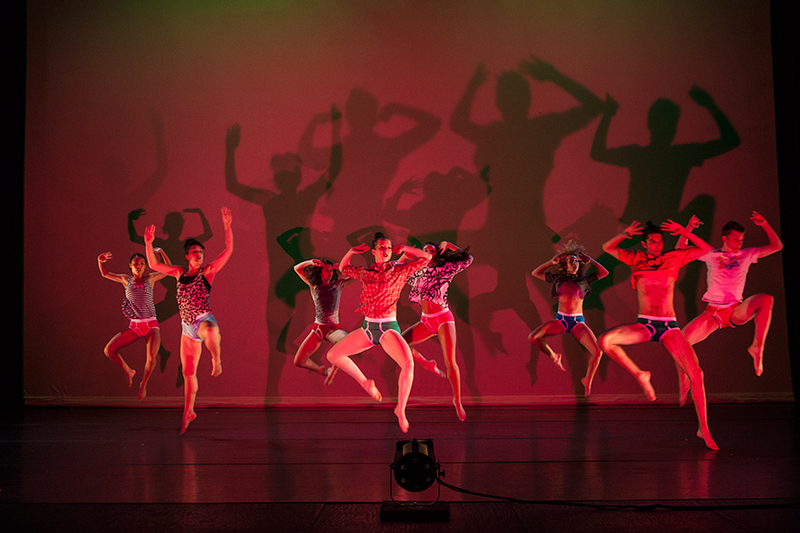 Commission a new work or a variation on a past work for your students or dance company. Commissions are available with intensive rehearsal residencies between 1 - 4 weeks and range in length and production value depending on needs and resources. zoe | juniper has been commissioned to make new works on students ranging from high school to college age and professional dance companies. Past commissions include: BodyTraffic, Boston Conservatory, CalArts, Cornish College of the Arts, Pennsylvania Ballet and Velocity Dance Center. Zoe and Juniper deliver an engaging lecture / demonstration on the various themes, process, research and their collaboration as it relates to the work they are presenting or the body of their work as a whole. By blending their unique talents and skills, Zoe Scofield and Juniper Shuey co-teach a varying range of cinematic and compositional workshops. Students will look at translating moving bodies into the static and distilled medium of the camera. Depending on equipment availability students may use cameras as tools to create performance choreography inside of the camera. This workshop may also include projection techniques and content creation for the express purpose of shaping and manipulating a stage or gallery setting through projection and installation design. WWT@WWT@ is an interdisciplinary conversation about creative process. It is an opportunity for artists of different disciplines to share their current creative thinking, and to bring their unique lenses to experiencing and talking about each other’s work. Inspired by the recognition that choreographers/dancers rarely receive feedback for their work in the middle of a process, this workshop invites all in attendance to experience the project throughout its process rather than the final output. The format of ‘sharing’ is left open to the artist and may be performative, visual, spoken, a film, a recording . . . or any combination of approaches.